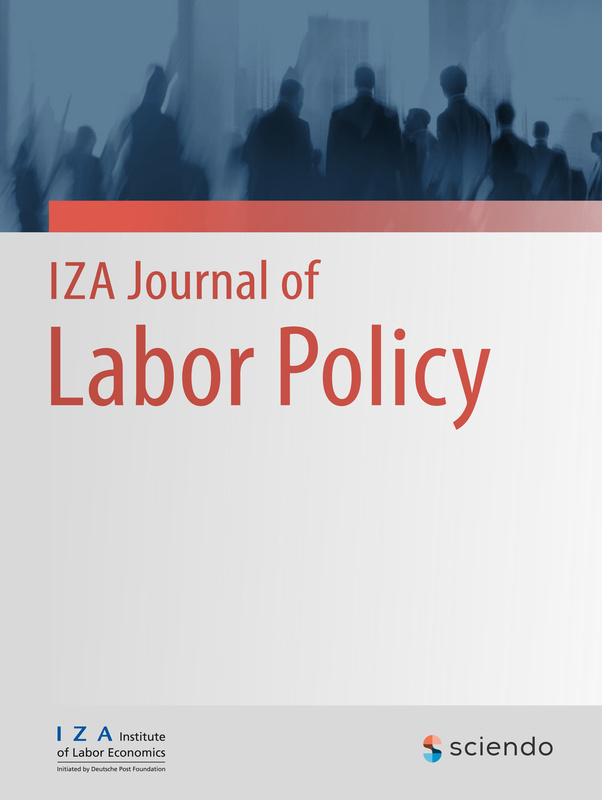 The IZA Journal of Labor Policy publishes scientific articles that are relevant for policy-making. This refers to papers addressing the impact of institutional settings and policy interventions on labor market outcomes, both from a theoretical as well as from an empirical point of view. In addition, the IZA Journal of Labor Policy publishes literature reviews and meta-analyses that synthesize existing research on policy relevant issues. The IZA Journal of Labor Policy is part of IZA’s mission of supporting informed and research-based labor policy debates around the world. We want to make a serious contribution to a scientifically grounded understanding of what works when and how.